It is with deep regret that we publish this report. We do not take this responsibility lightly, as the consequences of the following observations are of such great import and have such far-reaching ramifications for the entire planet. Truly, the fate of the oceans of the world hangs in the balance, as does the future of humankind. The Gulf of Mexico (GOM) does not exist in isolation and is, in fact, connected to the Seven Seas. Hence, we publish these findings in order that the world community will come together to further contemplate this dire and demanding predicament. We also do so with the hope that an appropriate global response will be formulated, and acted upon, for the sake of future generations. It is the most basic responsibility for every civilization to leave their world in a better condition than that which they inherited from their forbears. After conducting the Gulf Oil Spill Remediation Conference for over seven months, we can now disseminate the following information with the authority and confidence of those who have thoroughly investigated a crime scene. There are many research articles, investigative reports and penetrating exposes archived at the following website. Particularly those posted from August through November provide a unique body of evidence, many with compelling photo-documentaries, which portray the true state of affairs at the Macondo Prospect in the GOM. The pictorial evidence tells the whole story. Especially that the BP narrative is nothing but a corporate-created illusion – a web of fabrication spun in collaboration with the US Federal Government and Mainstream Media. Big Oil, as well as the Military-Industrial Complex, have aided and abetted this whole scheme and info blackout because the very future of the Oil & Gas Industry is at stake, as is the future of the US Empire and War-Making Machine which sprawls around the world and requires vast amounts of hydrocarbon fuel. Should the truth seep out and into the mass consciousness – that the GOM is slowly but surely filling up with oil and gas – certainly many would rightly question the integrity, and sanity, of the whole venture, as well as the entire industry itself. And then perhaps the process would begin of transitioning the planet away from the hydrocarbon fuel paradigm altogether. It’s not a pretty picture. The various pictures, photos and diagrams that fill the many articles at the aforementioned website represent photo-evidence about the true state of affairs on the seafloor surrounding the Macondo Prospect in the Mississippi Canyon, which is located in the Central Planning Area of the northern Gulf of Mexico. The very dynamics of the dramatic changes and continuous evolution of the seafloor have been captured in ways that very few have ever seen. These snapshots have given us a window of understanding into the true state of the underlying geological formations around the various wells drilled in the Macondo Prospect. Although our many deductions may be difficult for the layperson to apprehend at first, to the trained eye these are but obvious conclusions which are simply the result of cause and effect. In other words there is no dispute concerning the most serious geological changes which have occurred, and continue to occur, in the region around the Macondo wells. The original predicament (an 87 day gushing well) was extremely serious, as grasped by the entire world, and the existing situation is only going to get progressively worse. 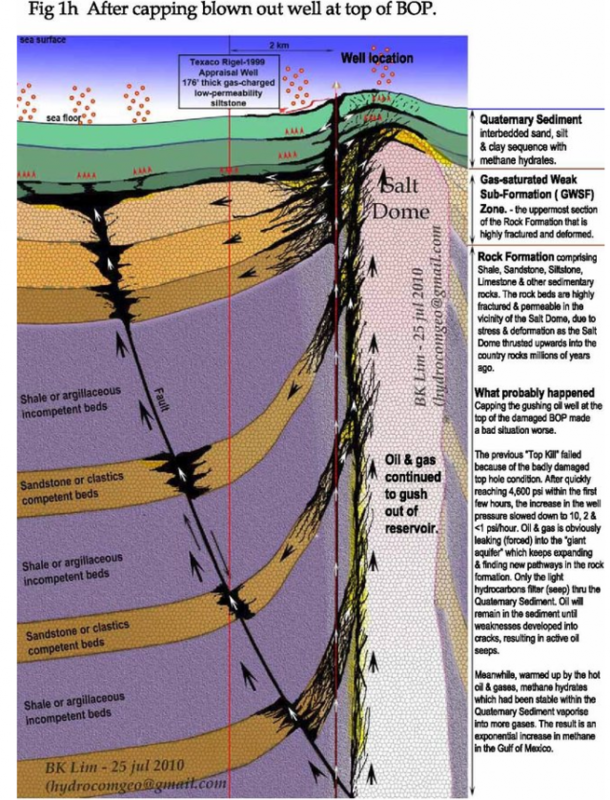 As the diagrams clearly indicate, the geology around the well bore has been blown. This occurred because of drilling contiguous to a salt dome(1), as well as because of the gas explosions which did much damage to the integrity of the well casing, cementing, well bore, well head, and foundation around the well head. 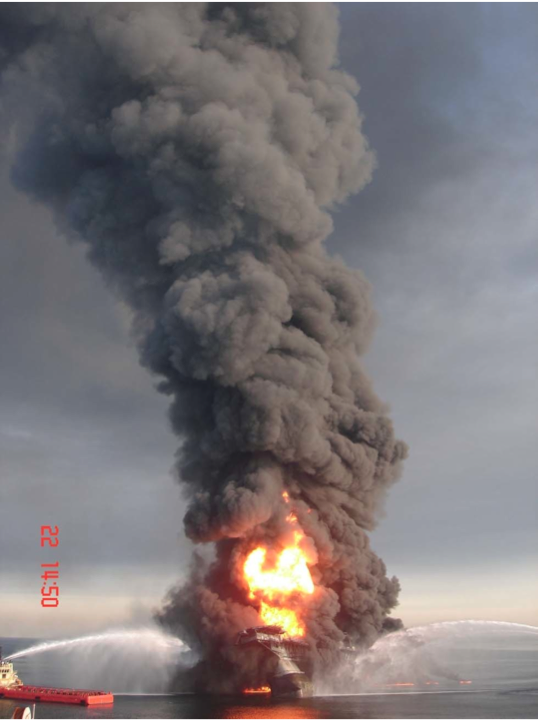 Eighty-seven straight days of gushing hydrocarbon effluent under great pressure only served to further undermine the entire well system. Finally, when it was capped, putting the system back under pressure forced the upsurging hydrocarbons to find weaknesses throughout the greater system, which revealed all sorts of compromised, fractured and unsettled geology through which the hydrocarbons could travel all the way to the seafloor and into the GOM. We also have faults* to deal with in this scenario of which there are both deep and shallow. Depending on the current vital stats of the blown out well, especially its actual depth; the number, location and severity of the breaches throughout the well system; the pressure at the wellhead; as well as the type and status of geological formations/strata it has been drilled into, these faults will become prominently configured into the future stability of the whole region. Larger faults can open up much greater opportunities for the hydrocarbons to find their way to the seafloor via cracks and crevices, craters and chasms. In fact the numerous leaks and seeps throughout the seafloor surface, which are quite apparent from various ROV live-feeds, give testimony to sub-seafloor geological formations in great turmoil and undergoing unprecedented flux. Just how bad is this situation? There are actually three different ongoing disasters – each more grave and challenging than the previous one – which must be considered when assessing the awesome destruction to the GOM by the Oil & Gas Industry. III. Countless small gushers and mini-spills, leaks and seeps, throughout the Gulf of Mexico, where oil drilling has been conducted for many decades, with an aggregate outflow into the GOM that can not even be estimated, but is well in excess of any guesstimate which would ensure its slow and steady demise (not too unlike the petrochemical cesspool known as the Caspian Sea). Methane gas mixed with saltwater and mud makes for a very potent corrosive agent. Under high pressure it will find every point of egress through the rock and sediment formations all the way up to the seafloor where it will find any point of exit that is available. The longer and more forcefully that it flows throughout the fractured area, which is dependent on the volume, temperature and pressure at the source of the hydrocarbons, the more its corrosive effects will widen, broaden and enlarge the channels, cracks and crevices throughout the sub-seafloor geology, thereby creating a predicament that no science, technology or equipment can remedy. The Macondo Prospect in the GOM is just one of many throughout the oceans of the world where the seafloor has beds of methane hydrate locked in place by very high pressure and low temperatures. Likewise, there are myriad repositories and large “reservoirs” of methane clathrates in the sub-seafloor strata, and especially within the more superficial geological formations, which are being greatly impacted by all oil and gas drilling and extraction activities. It does not take much imagination to understand how the upsurging hydrocarbons (very hot oil and gas under high pressure) are quickly converting the frozen methane hydrate to gas, thereby causing innumerable “micro-displacements”, the cumulative effect of which will translate to larger “macro-displacements” of rock, sediment and other geological formations. When you factor in this constant vaporization of methane hydrates/clathrates both sub-seafloor as well as those scattered around the seafloor surface to the existing scenario, this devolving situation becomes that much more difficult to effectively remedy. With the resulting shifts and resettling and reconfiguration of the entire seafloor terrain and underlying strata occurring in the wake of these dynamics, we are left with a situation that is not going to get better through the use of even more invasive technology and intrusive machinery. Question: How many times can you grout a seafloor crack that was caused by an underlying superficial fault after drilling into an old mud volcano? Likewise, how do you fill a newly emerging gash in the seafloor which is caused by a deep fault due to low level seismic activity, or worse, a full blown earthquake?! The oil and gas platforms that were in operation throughout the northern Gulf of Mexico in 2006 (per Wikipedia). We now come to the most serious issue regarding the relentless drilling for oil and gas throughout the Gulf of Mexico. The map above clearly illustrates the density of drilling throughout the northern GOM as of 2006. Likewise, the map below demonstrates the extraordinary and increasing intensity of these very same operations off the coast of Louisiana alone. Green lines represent active pipes (25,000 miles in all). Yellow dots represent oil rigs. The map that follows, however, tells a story which demands the attention of every resident of the GOM coastline. The video link below the map shows the development timeline of the successively deeper wells being drilled during the last decade. Of course, with greater depths come much greater risks, as the technology and machinery have not been proportionately upgraded to accommodate the extraordinary demands and unforeseen contingencies of such a speculative and dangerous enterprise*. *Oil and gas drilling in seawater depths of over 4000 feet, and through 15,000 to 25,000 feet of the earth’s crust and mantle, is considered extremely dangerous to those from whom reason and common sense have not yet fled. Click on the map to enlarge. It’s critical to understand the location and current activity of the various faults which exist throughout the GOM and how they connect to the New Madrid Fault Line, as well as other major faults at much greater distance. There does appear to be a emerging uptick in earthquake activity in the greater Louisiana area, as well as contiguous regions in the GOM as demonstrated by unprecedented, albeit low level earthquakes. Correlations between these earthquakes/seismic activity and major operations at the Macondo Prospect have been alluded to in our previous postings, as well as by many recent articles explaining the inevitable subsidence which occurs when prodigious volumes of oil and gas are removed through drilling in the GOM. Just how much oil and gas have been removed from the GOM since drilling first began there in the ’30s? 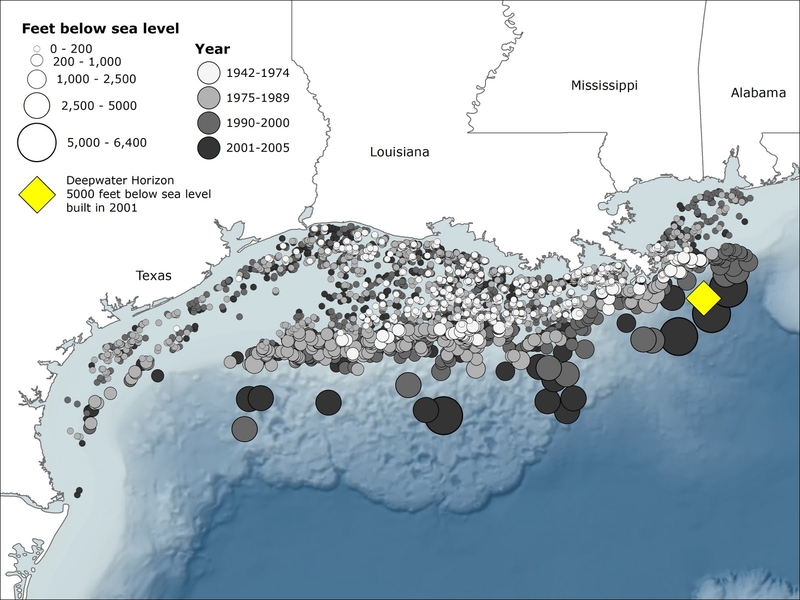 More significantly, how might substantial movements of the GOM seafloor (due to undersea volcanoes and earthquakes) affect the 28,000+ unmonitored and abandoned wells which are highly concentrated south of the Louisiana coastline?! Now then, the question remains just how vulnerable has the GOM been made to a truly catastrophic event, ending up with an overwhelming displacement of water producing tidal waves, in the aftermath of an undersea earthquake. There is no question that the ceaseless fracturing of the seafloor and fissuring of the sub-seafloor geological strata by the Oil & Gas Industry has set up a quite conducive environment for HUGE unintended consequences. We leave it up to the experts to conduct the necessary risk assessments, which will most assuredly let loose a sea of red flags about what Big Oil has done, and is currently doing, in (and to) the Gulf of Mexico. Furthermore, we are deeply concerned that, if a permanent moratorium on all new oil and gas drilling and extraction in the GOM is not put into place poste haste, the coastal communities will remain in a very precarious situation. The most immediate concern relates to the combination of ill-advised drilling activity (conducted in spite of geohazard assessments/recommendations) with unpredictable seismic events, which could trigger undersea landslides at the shelf edge causing massive water displacement. Now consider the following scenario: that this very same predicament, which we have all witnessed in the Gulf of Mexico, is happening wherever oil and gas drilling is conducted in the various water bodies throughout the planet. Therefore we can multiply the Macondo Prospect disaster a hundred times and still not come close to the impacts that these ongoing gushers and spills, leaks and seeps are having the world over. Perhaps the BP Gulf Oil Spill was the defining moment in modern history when all the nations of the world community were called by Mother Earth herself to begin transitioning the planet away from the Hydrocarbon Fuel Paradigm. After all, we may never get another chance! 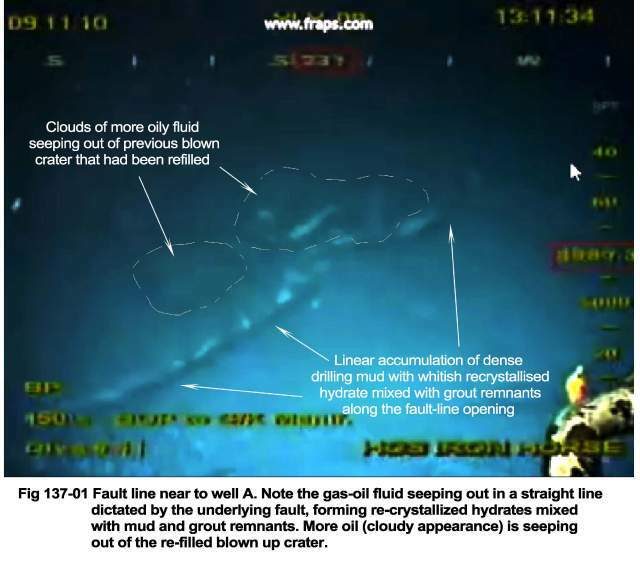 Author’s Note: This short reality check was made possible by BK Lim, Geohazards Specialist (Click here for CV), whose research and analysis of the BP Gulf Oil Spill have proved invaluable to ferreting out the truth of this unprecedented environmental devastation. BK provided figures 137-06, 136-3, 1h and 137-01 including the commentary, which only an experienced and highly skilled geohazards expert could furnish with authority. He is also responsible for many of the articles/essays posted on this website, as well as some that are linked to this article. #1 The wanton and indiscriminate use of the dispersant, Corexit, turned an extremely serious regional disaster into an unmitigated global catastrophe. How so? The dispersants Corexit 9500 and 9527 both served to interact with the oil in such a way that much of it sank to the bottom. It also caused much dispersed oil to be held in suspension within the water column, as well as carried with the currents to and fro in amounts which can only be guessed. There is an emerging consensus that, because of the overwhelming volume of Corexit which was dispensed throughout the GOM, the Loop Current, which has historically guaranteed the flow of the warm Gulf waters into the Gulf Stream Current, has been fundamentally altered. The most obvious consequence was to profoundly slow down the turnover of water into and out of the GOM. By curtailing this natural, rejuvenative process, the Gulf has become a more stagnant body of water, with significantly less opportunity to cleanse itself. 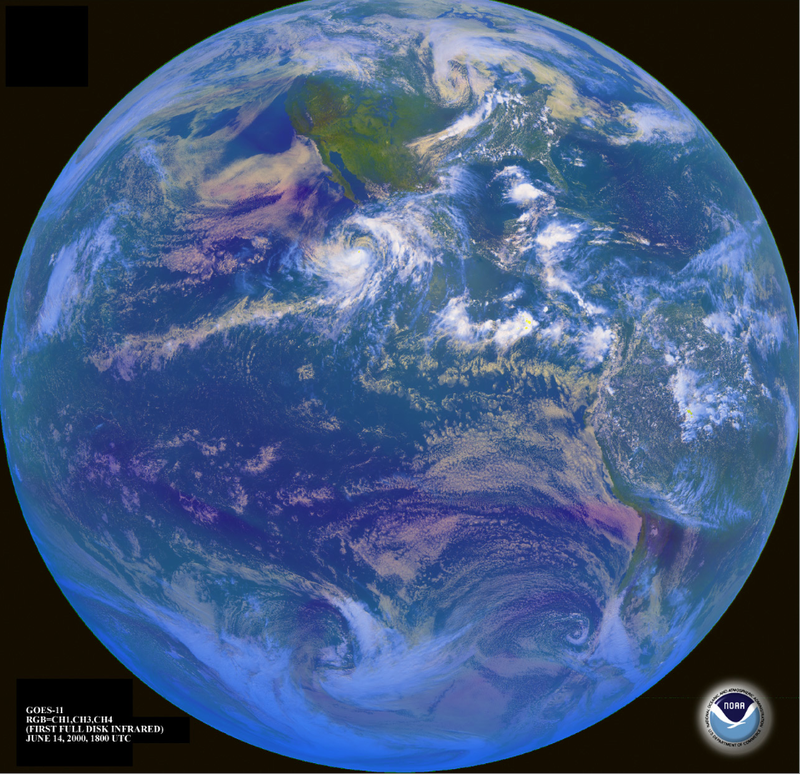 Even the normal hurricane pattern in the GOM slackened precipitously this past hurricane season, thereby diminishing much churning and mechanical action which can be helpful to the natural breakdown of petroleum and its many byproducts. Of course, the real unknown here is how dramatic and lasting the effects a stalled Loop Current will have on the Gulf Stream’s influence on the weather of Great Britain, Continental Europe and the contiguous land masses. By many accounts the recent meteorological developments, especially in Northern Europe, are being viewed with great apprehension about what the future weather patterns will bring? Many are concerned that a tipping point has already arrived and that this sea change will irrevocably transform a way of life. What else do we know about Corexit from an environmental health perspective? (1) 10.72 parts per million (ppm) of oil alone will kill 50% of the fish test species in a normal aquatic environment within 96 hours. (2) 25.20 parts per million of dispersant (Corexit 9500) alone will kill 50% of the fish test species in a normal aquatic environment within 96 hours. (3) 2.61 parts per million of dispersed oil (Corexit-laden) alone will kill 50% of the fish test species in a normal aquatic environment within 96 hours. Not only is the dispersed oil much more toxic, it is now virtually impossible to remediate in its current micronized or nano-sized state. Disappeared they did to the oil, and so did they to the various technologies and methodologies which would have been effective in cleaning up oil alone. Now we are left with a predicament that requires a form of mitigation which must be conceived, before it can be tried and tested. In the meantime the entire GOM food chain (including those who continue to eat the seafood) is concentrating these newly formed toxic byproducts in their tissues, the effects of which will gradually wend their way through the bodies of each and every organism that is exposed to them. Just how poisonous to life dispersed oil is we may not know for years, nor does any government-funded research institution seem to be in a hurry to find out! Both Corexit 9500 and 9527 were sprayed liberally for many months both on the GOM surface, as well as undersea. The officially reported amount is shown below; the covert spraying continues to this very day in volumes which can only be determined by reviewing the disbursement records at Nalco Holding Company. The photo above (Fig. 137-06) , in addition to much anecdotal evidence, unequivocally demonstrates continued dispersant use up to this very day, which therefore indicates a much higher volume used throughout the GOM. 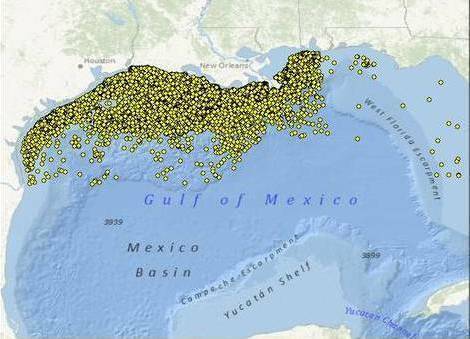 The following link offers a more in-depth discussion of how this unprecedented mixture of massive amounts of dispersant, oil, methane and radioactive hydrocarbons have forever altered the energetics of the Gulf of Mexico. It is then much easier to understand the unanticipated and immediate stalling of the Loop Current in light of these critical changes to the GOM fundamentals. #2 The deeper the geological source of the hydrocarbons, the more radioactive isotopes present in the oil and gas. That hydrocarbons pulled from the bowels of the earth have a scientifically verified radioactive component(s) is the dirty little secret of the Oil & Gas Industry. So secret in fact that, if it were to get out, this single scientific fact would seal the fate of the entire industry. It also undergirds the correct understanding that oil and gas are both abiotic in nature and abiogenic in origin – facts which cast a refreshing light on the notion of Peak Oil. Yes, we have reached Peak Oil, but not because of the untenable Fossil Fuel Theory which has been known to be false by the Oil and Gas Industry since its inception. It has been asserted that the Macondo Prospect sits on a reservoir of abiotic oil the size of Mount Everest, one of the two largest batholiths with proven oil and gas mega-reserves in the GOM. However, that doesn’t make it economically feasible or technologically prudent to extract; nor is it smart to engage in such utter folly, as the sinking of the Deepwater Horizon dramatically demonstrated. Mantle-generated hydrocarbons come from very young geological formations deep in the earth, and are the product of extremely powerful geo-thermal forces. The presence of radioactive isotopes such as uranium, thorium, radium show up in much greater concentrations the deeper the well bore is drilled into the earth’s crust, and are ubiquitous throughout the mantle. Therefore, the hydrocarbon constituents, which are actually found in the interstitial spaces, porous rock formations and quaternary sediments and are scattered everywhere because of their liquid and gaseous states, exist within and around this highly radioactive environment. 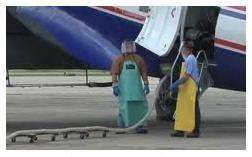 Here’s another link to the U.S. Environmental Protection Agency website page entitled Radiation Protection that shows just how serious this matter has become from an environmental health standpoint. From our many discussions with those knowledgeable at the OSATF (Oil Spill Academic Task Force) here in Tallahassee, FL, it became evident early on in the spill that the percentage of methane of the total hydrocarbon composition was quite high. Some observed that it appeared to very slowly decrease, yet remained high right up until the capping of the gusher. Hence, we know that this oil spill in the GOM has a very definite radioactive component which must be addressed. Please understand that we are not suggesting that the fish will start glowing with radiation; only that long term exposure to low level radioactivity has its obvious consequences to all living organisms. In the meantime, those living on the GOM coastline ought to introduce copious amounts of seaweed (e.g. kelp) into their diets. Where it concerns the release of radioactivity into the waters, there is simply no way to put this genie back into the bottle within the current scientific paradigm … unless there is alchemical science yet to be revealed or new age technologies to be developed. May we all do our part in spreading the awareness of these realities, so that many more of US will be in the position to make informed decisions about where we live, work and play, what we eat, our health and safety, our livelihoods, our families, our communities … … … and our shared environment known as Mother Earth. thank you for your careful research and for the truth. This is pretty scary stuff. First off…thanks for even writing this much on this topic. You did your research and surely got some great information for your readers and I appreciate that. Quick question. Is their a way that we can turn this around? How to make it better. 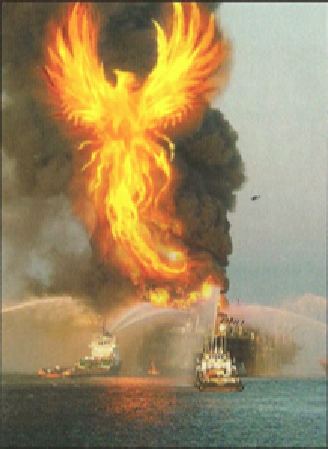 Pingback: Conclusive Evidence That BP Misrepresented Gulf Oil Spill Sent To Congress | Oil Spill Solutions Now! This is a good read. Thanks for the info and you did your job well. I am not a scientist, just an average person with an interest in Nature and our planet since it is my home, as it is for billions of creatures and people like myself: I’d like to see our world survive! I’ve been to the GOM and enjoyed its (past) beauty many times, and this saddens and horrifies me…it’s dying? Truly?! I covered my mouth in horror. The story has been shoved somewhere in the b/g and shouldn’t be. A friend posted it on Facebook and I will repost.